Welcome to the Money for Monday personal finance and lifestyle blog. I’m David and I started Money for Monday as a way to share my thoughts about not only money making, saving and spending, but also our relationship with money and how it might affect us daily. My own relationship with money has not only affected the way that I manage my finances, but also my infatuation with wanting more of it has had both a positive and negative impact on my life today. I’ve always been interest in personal finance and I am always seeking out new opportunities to make, save and invest and learn along the way. I’ve started businesses and failed in business which has taught me a lot about who I am. As well as writing for Money for Monday I have a 9 to 5, which like many of us probably isn’t in a role that I particularly enjoy, but it pays the bills, so I also share my job highs and lows and talk about life in general when the mood takes me. Unfortunately this site won’t make you a millionaire and I expect that you won’t agree with everything I post. I do hope though that it makes you think about your own relationship with money. 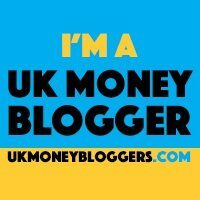 This blog is for information and entertainment purposes only and I am not a financial expert by any stretch of the imagination. I would always suggest that you make your own decisions or seek expert advice about how you manage your own finances.